Wedge pattern in wave 1 was a starting point of the growth. 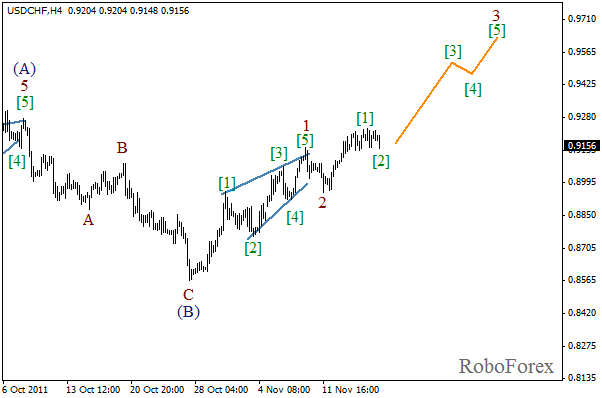 Currently the price is about to complete the second wave in wave 3. After the local correction is finished, the market may continue growing while forming wave . 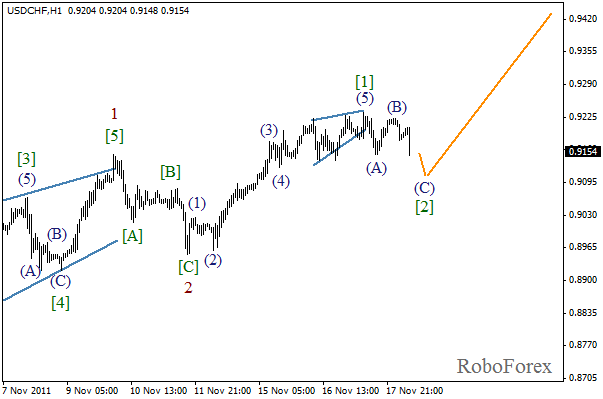 Wave  has been completed with diagonal triangle pattern inside the fifth wave. At the moment the price is completing zigzag pattern in wave  with the wave (C) being formed inside it. In the near term, we can expect the local correction to be finished and the price to start moving upwards. The pair continues consolidating inside a quite narrow range. 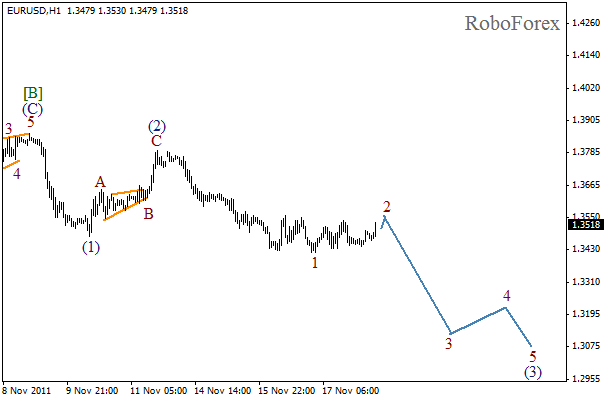 There is a possibility that such market behavior indicates a future descending movement inside the third wave. 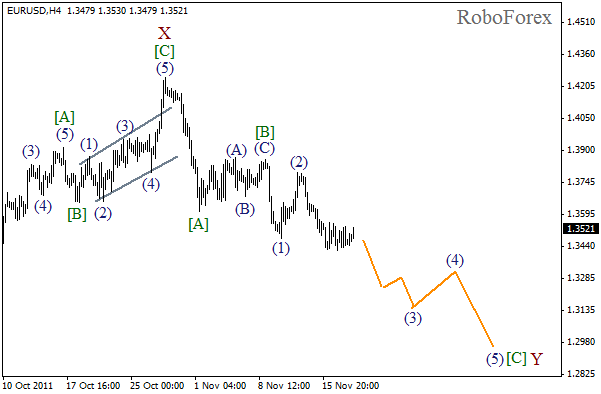 The target for the bears inside wave (3) is at the level of 1.3200. It looks like the second wave is being formed at the moment inside wave (3). This correction may be finished on Friday. In future, we can expect the price to continue moving downwards inside the current descending trend.